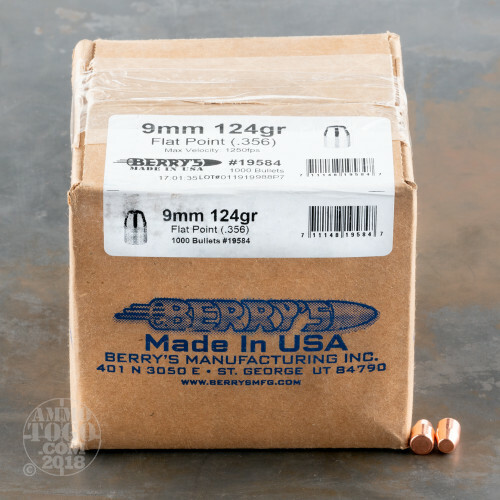 These copper plated 9mm bullets from Berry's are excellent for reloaders who want to create their own match and practice rounds as a cost-saving alternative to factory ammo. These projectiles measure .356 inches in diameter and possess a sloping wall ogive for dependable feeding and flat point which is ideal for target shooting. 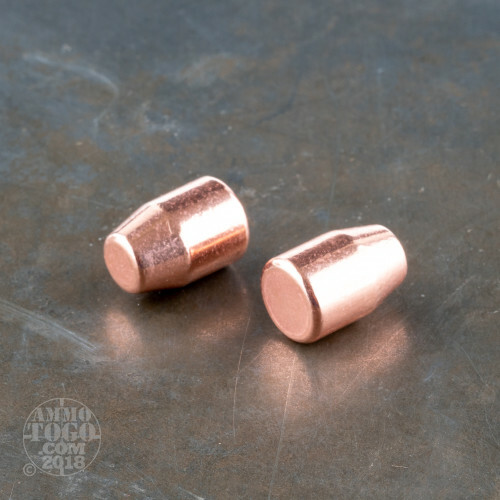 Flat nose bullets tend to create clean, circular holes in targets which are exhibit great definition, cover a larger area than typical FMJ tears, and can reach beyond perforation to net a better score in IDPA, USPSA, and NRA Bullseye. At 124 grains, these projectiles match NATO 9mm Luger weight and can be tailored to numerous existing loads. Berry's plated bullets have copper applied to every surface so that no lead is exposed to hot gases; this cuts down on cleaning, increases reliability, and improves the quality of breathable air during extended sessions at indoor ranges. These "double-struck" projectiles are resized after being plated so handloaders are presented with consistent dimensions for repeatable accuracy and performance. 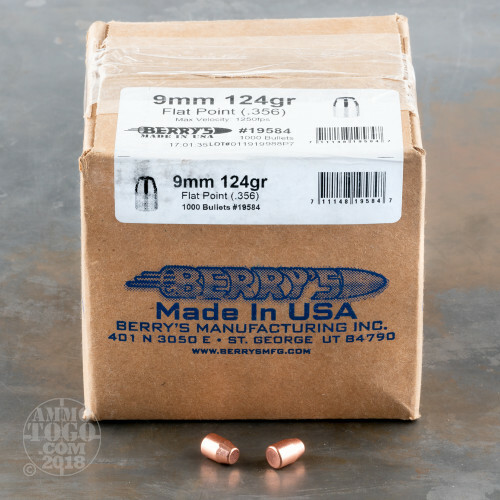 Berry's electrolysis copper plating process guarantees a durable bullet which holds true up to 1,250 feet-per-second. This manufacturer has maintained these practices for 55 years and has always garnered a reputation for low prices and great projectiles.